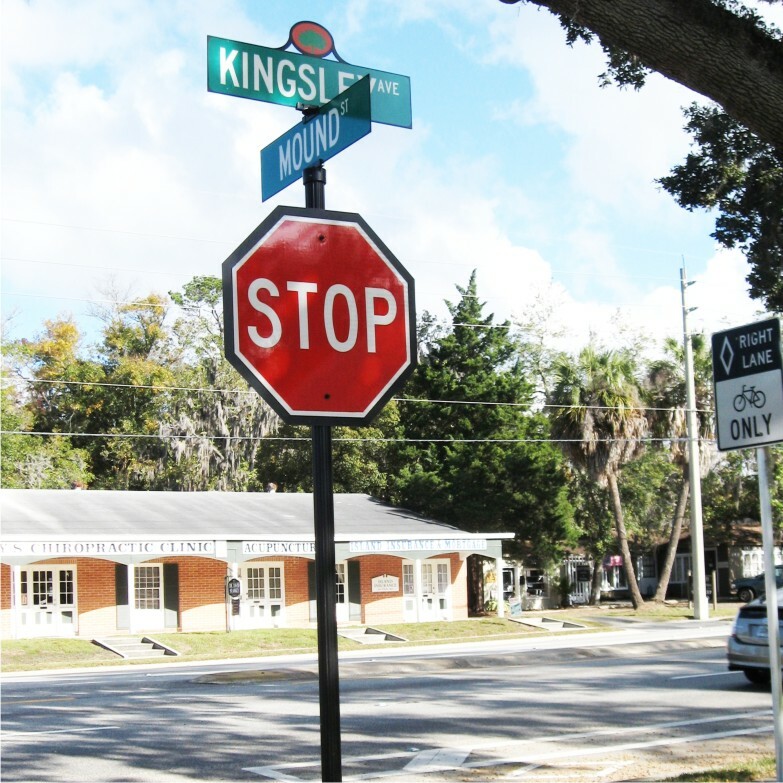 We supply a complete line of aluminum street signs. This includes posts, finials, bases, brackets, mailboxes and post n panel systems. All of these components use an extremely durable baked on enamel painting process and are available in several colors and finishes. 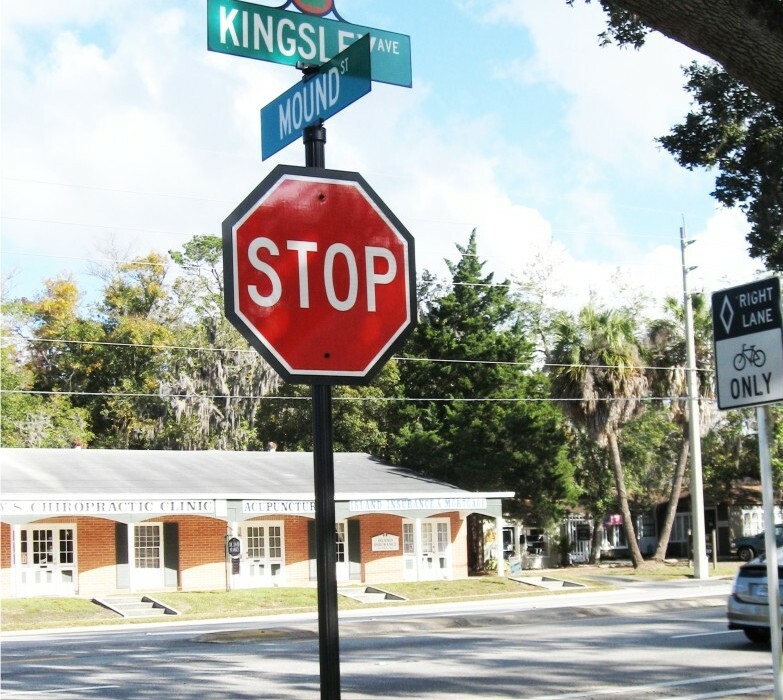 The example shown is one of the many street signs we have provided with the Town of Orange Park.